Pictured during a recent follow-up visit after installation and training of a Hologic Horizon A in the Metabolic Bone Unit of Llandudno General Hospital are (from left): Osteoporosis Specialist Nurse Sister Amanda Durber, Senior Radiographers Chris Hughes and Louise McBride, Consultant in Metabolic Bone Disease Dr Kirsty Maclean and from Vertec, Product Specialist Bill Reid and Applications Specialist Joy Thorpe. 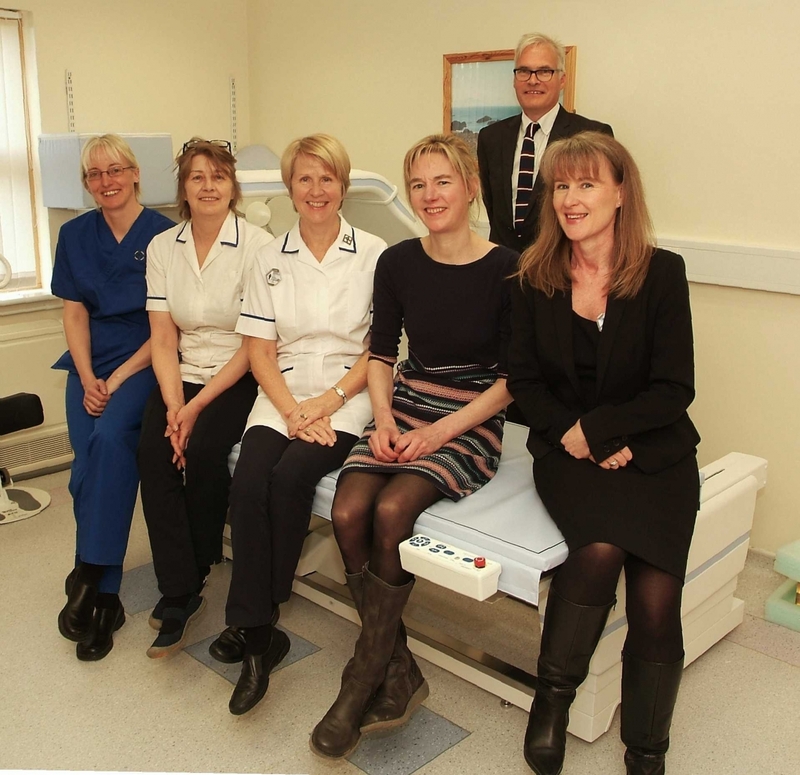 Established in 2006, the North Wales Bone Unit and Osteoporosis Service based at the hospital covers a population of 660,000 patients living in an area which includes Flintshire, Conwy & Denbighshire, Gwynedd and Anglesey. Since August 2006, over 50,000 bone density scans have been performed. Many of these are now re-scans and there are still plenty of referrals from the fracture liaison service. The service currently completes 25 examinations every day. The new scanner became operational in late March 2018.